Maintaining healthy gut flora renews the body's energy and keep the body's immune digestive system functioning optimally. 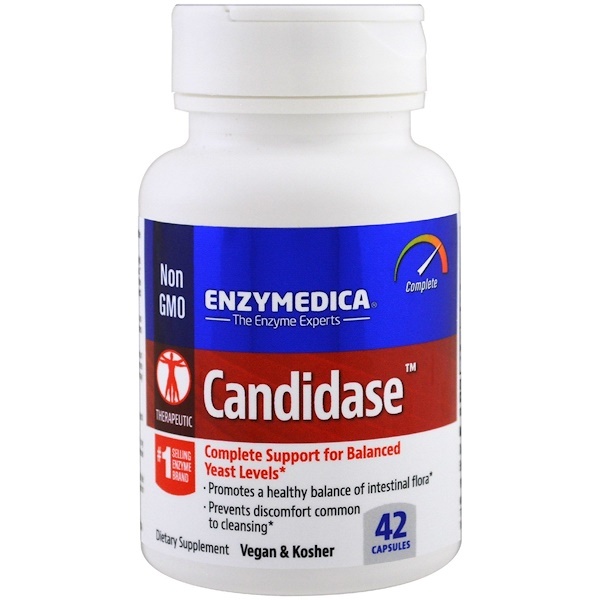 Candidase contains two enzyme blends that support the body's natural ability to maintain a healthy balance of intestinal flora. Cellulase breaks down the yeast cell wall while protease digests the interior proteins. This combination provides a gentle, cleansing effects without harsh discomfort common to cleansing. 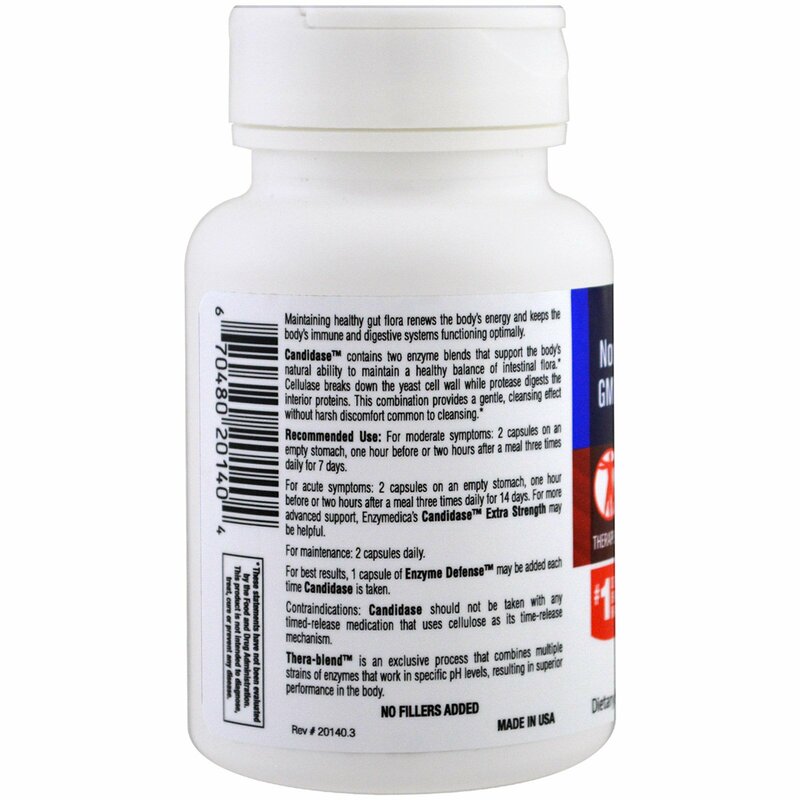 Recommended Use: For moderate symptoms: 2 capsules on an empty stomach, one hour before or two hours after a meal three times daily for 7 days. 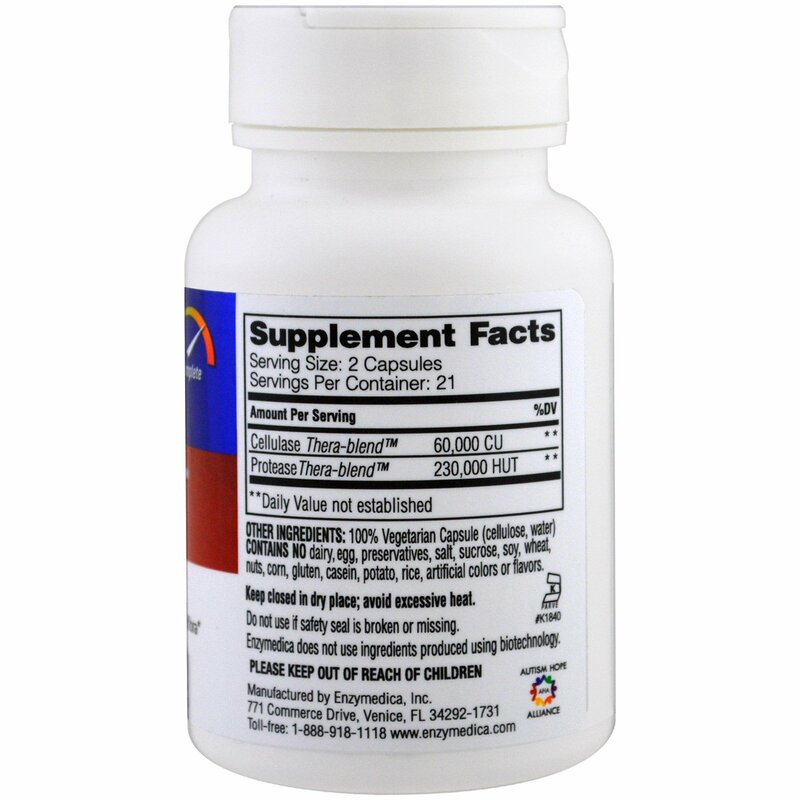 For acute symptoms: 2 capsules on an empty stomach, one hour before or two hours after a meal three times daily for 14 days. For more advanced support, Enzymedica's Candidase Extra Strength may be helpful. For maintenance 2 capsules daily. For best results, 1 capsule of Enzyme Defense may be added each time Candidase is taken. Contains No dairy, egg, preservatives, salt, sucrose, soy, wheat, nuts, corn, gluten, casein, potato, rice, artificial colors or flavors. Do not use if safety seal is broken or missing. Please keep out of reach of children. Contraindications: Candidase should not be taken with any time-release medication that uses cellulose as its time-release mechanism.